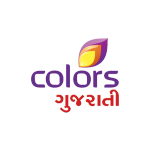 Colors Gujarati is a 24 hours Gujarati General Entertainment TV channel. Colors Gujarati previously known as ETV Gujarati. Colors Gujarati is the biggest Gujarati channel and gained popularity with its show "Rasoi Show". "Rasoi Show" is currently one of the longest running TV series in Asia with over 3000 episodes aired.